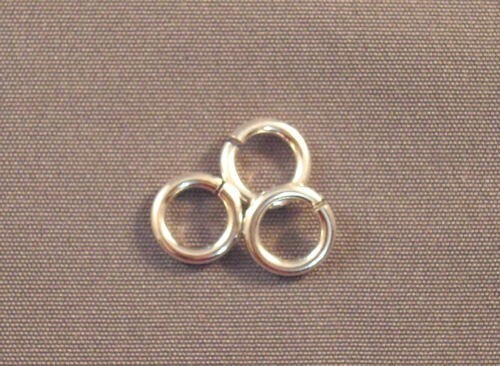 Round rings are the standard type of jump ring that is utilized in the majority of chainmaille weaves. These rings are made of Argentium Silver. This is sometimes called the anti-tarnish metal because it is more resistant to tarnish than Sterling Silver.